Chief Keef got shot at early Saturday morning in NYC, but fortunately the shooters missed. 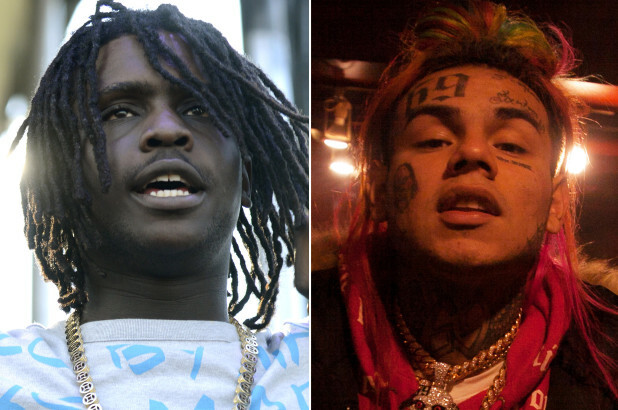 Chief Keef was engaged in a social media war with 6ix9ine, which happened before Keef was expected to make a trip to the big apple. Well, earlier this morning at 4am, Chief Keef posted a picture between 7th and Broadway, citing that he was hungry. Moments later, the GBE rapper returned to the W and was shot at multiple times. According to NYPD, two masked man in all black failed in an attempted shooting. Detectives are currently on the hunt for the unknown men and still unclear how many shots were fired. The situation is still a developing story and investigation.